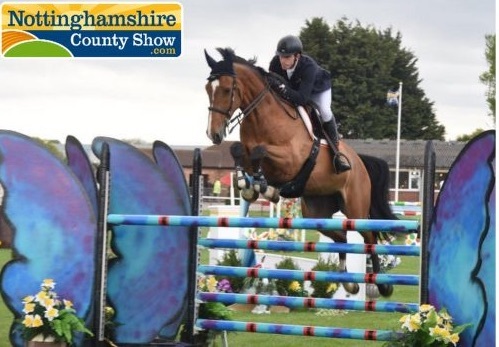 Experience a great traditional family day out this spring at Nottinghamshire County Show. Taking place on 11th & 12th May, this first show of the season showcases the best cattle, sheep, goats and pigs alongside superb equine events, including majestic 'heavies' and first-class showjumping. Classes and competitions run all day both days. There are still sponsorship opportunities for companies and organisations wishing to promote themselves whilst supporting their local agricultural show. Following on from the success of introducing the dedicated 'Heavies Ring' in 2018, our Heavy Horse Village this year will have even more to entertain, including 'working horse' demonstrations on both days. In addition to the usual farmyard favourites, will be gun dogs, hunting hounds, giant tortoises, and birds of prey. Children will particularly enjoy the antics of the animals in the Countryside Area and alongside old favourites like the Sheep Show will be fascinating demonstrations of heritage crafts such as coracle making and fashioning traditional hats from straw. A welcome sight will be the return of last year's very popular 8ft stilted animatronic character, Froojamaflip, and his hilarious sidekick, Fred the Gardener. Featuring as the main attraction is Dzhigitovka, an exciting Cossack trick-riding spectacular, straight from Russia, with fabulously costumed riders and dare-devil horses, performing to crowd-pleasing music and bringing a flavour of the legendary warriors on horseback, masters of sword, archery and outstanding gymnastic skills. Back by popular demand will be the music marquee which was well supported last year with a full programme on both days. Visitors can look forward to the Farriery Competition where they can watch experienced and apprentice-level farriers getting very hot under the collar as they demonstrate their horse-shoe making skills to compete for prizes. The marquee will be located near the Heavy Horse Village. Visit the recently rejuvenated Food Experience area to sample and buy tasty locally-made produce and the Children's Activity Area which this year will be all about lamb with a variety of competitions to enter and prizes to win. All ages can learn what is involved in farming and showing sheep and how we benefit from using and eating product created from them. Then step next door to admire the gorgeous floral art displays in the Lady Eastwood Centre. With ample opportunity to shop for crafts, gifts and clothing, many items on sale will not be available in the high street stores. The Show benefits from plenty of food outlets where tasty snacks, two-courses lunches, hot and cold drinks, including beers and wine, can be bought. Offering a fun-packed weekend of family entertainment, the Show successfully combines tradition with modern-day life – from discovery and adventure to hands-on experiences and learning while you watch – there really is something for everyone. See www.nottinghamshirecountyshow.com for further details and Membership information.